I make no great secret of my mad love for Studio Ghibli, even if it’s mostly the works of director Miyazaki Hayao (and composer Hisaishi Joe) that have drawn my unconditional admiration (that said, nothing haunted my soul as a child quite like Grave of the Fireflies). 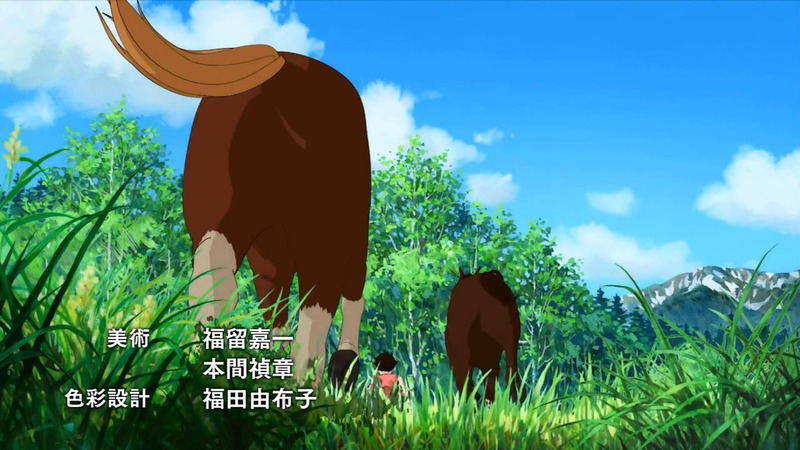 It is a sobering thought to think that Sanzoku no Musume Ronja (Ronja Rövardotter) may well be Studio Ghibli’s swansong, with Miyazaki going into retirement (apparently for real this time) after his own swansong, The Wind Rises. 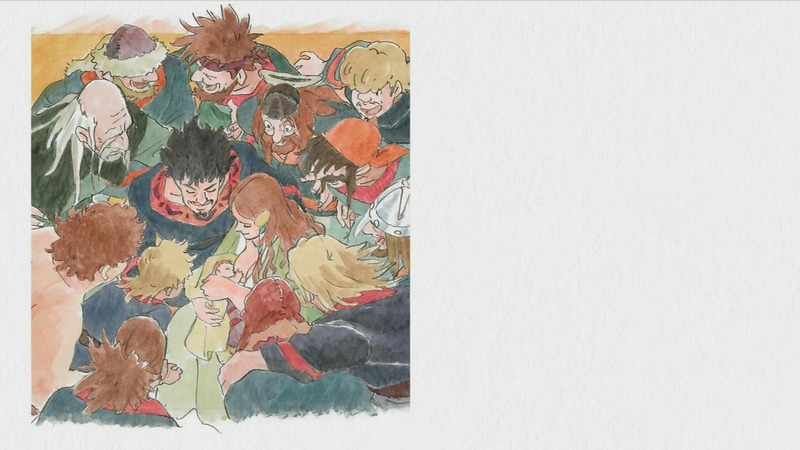 Studio Ghibli has so long been an anime icon and Miyazaki Gorou, directing Ronja Rövardotter has some pretty big shoes to fill. 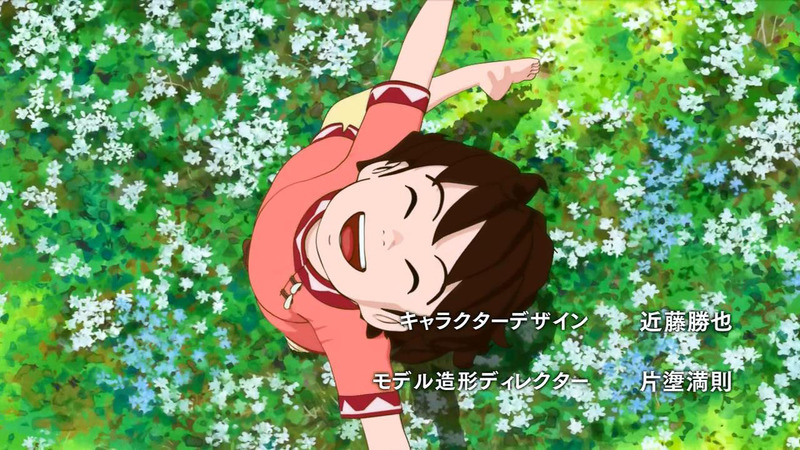 Ronja Rövardotter is not an entirely Studio Ghibli production; you will notice that Polygon Pictures provides the CGI. Unfortunately, you might notice it a bit too much, because character models are entirely CGI in Ronja Rövardotter. It’s not bad, per se—everyone moves fine, and the design are still pleasantly Ghibli-shaped—but there one does get the feeling when watching that something is odd. In fact, sometimes it just creeps me out. Maybe it’s a strange kind of uncanny valley; it looks too similar to traditional animation designs, and my brain keeps telling me it’s CGI. It may be an acquired taste; you’ll get used to it if you stick with it. Even if the CGI offends you, you can still ogle at the backgrounds: very detailed, very pretty. In fact, 3D models on 2D backgrounds have a somewhat videogame feel to it, so if you can get into that then Ronja Rövardotter will give you no problems. 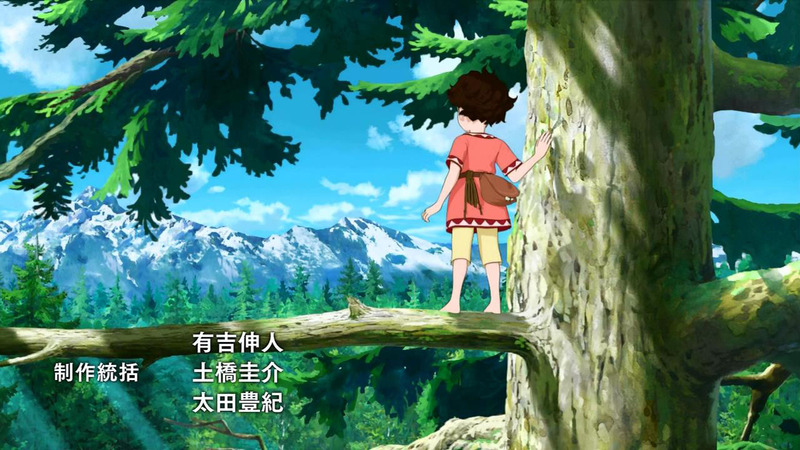 It’s also quite evident that Ronja Rövardotter is based on a children’s novel; even the dialogue has a fairytale air to it, especially the exchange between the eponymous Ronja (Shiraishi Haruka) and her father, the bandit king Mattis (Seki Takaaki) about the dangers of the forest. Speaking of which, normally, sending your child into the wild forest alone and barefoot is simply not responsible parenting, but it just goes to show that this is from a different time and context. It’s a good thing Ronja (born under a doom omen and with too much hair) is one of those plucky child protagonists who are immune from mundane harm because she lives in a world of Scandinavian folklore, reinforced by a soundtrack that breaks out the strings and pipes now and then for something suitably medieval. Ronja’s childlike wonder as she forays into this untamed land is probably what’s going to give this series most of its charm and sense of adventure. They do spend a lot of time getting us to know Ronja; a good 45 minutes of this week’s double-length feature was just getting Ronja born and out the door. This narrative investment is used to make it clear that Ronja is very precious to her bandit family, but it also made the pacing feel very slow. I expect it to pick up next week, since the plot has finally taken shape. 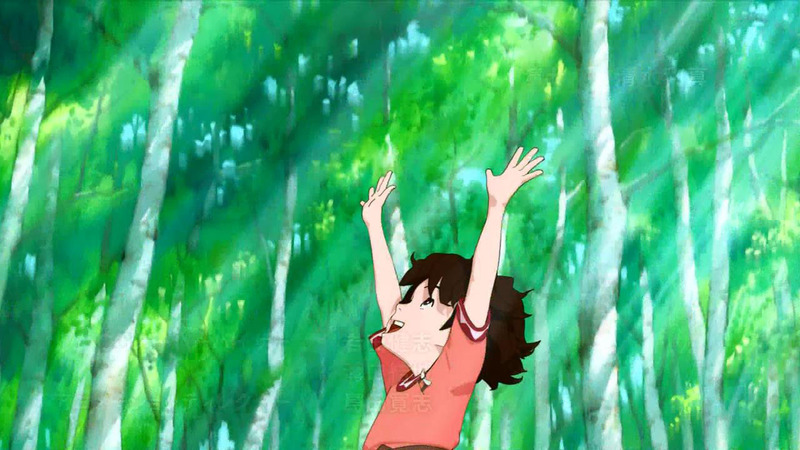 I know it’ll be hard for a lot of viewers to get past the CGI, but Ronja Rövardotter still has the soul of many previous Ghibli works—stories in which the world is beautiful, innocence is a virtue, and curiosity rewarded. Even if you’re a jaded cynic (or, perhaps, especially if you’re a jaded cynic) it’s a show that may make your week just a bit brighter, in the way only the laughter of children can. Seriously, Ronja is happy. Why are kids so happy? It’s too much for the charred husk I call my soul. But it’s probably a healthy feeling. This uncanny Valley, you feel. I think it come from the “to clean bright CGI” textures blending with the Background in your example. See, Ronja is in perfect Light. As if she is inside a Spotlight . But did you notice the Forest in the back? Not that it particularly bothers me, but perhaps you could try composing your thoughts before you start writing a comment next time? When you post five times in a row like this it makes you look like a jittery spammer. …I’m not knifing you, Caesar, I’m just putting in a word about the Ides of March. Some of the drawings reminded me of windwaker. it must be those sharp cgi lines. 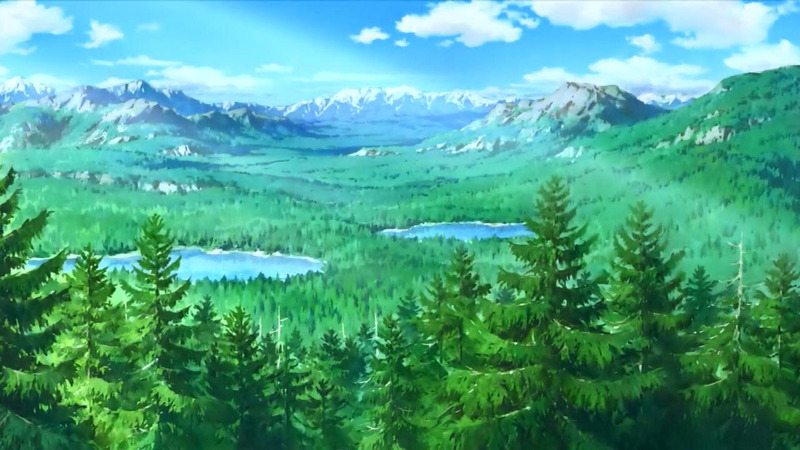 It honestly just felt like watching ni no kuni cg. :)) not that it was bad(for me), but I really enjoyed watching Ronja. The anime is subbed by anime-koi group. I’d give you a link but I don’t know about policies of the blog, so you have to google it. Aha. Was wonderin if RC was gonna cover this. Now I got another show I need to check out. I think it might be the way it looks like tree branches (or root system in the case of Skalle-Per), completely solid and rigid, that does it. Not uncanny -just weird. Ronja Rövardotter is too precious to me to allow 3D CGI to ruin it. 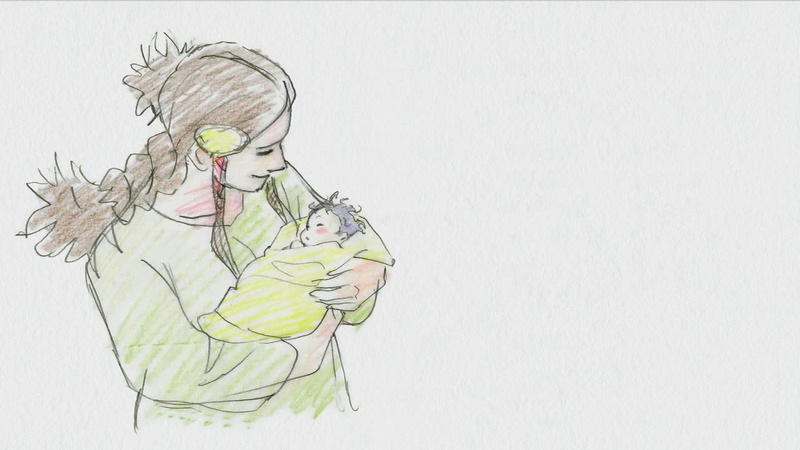 …And Studio Ghibli as well. So I don’t actually dare watch this, because what if it’s a huge failure? I’ll stick around for another review of yours before taking the leap (or forgetting it ever existed). I don’t think I’ll be covering this show full time, but there’s still Monthly Impressions and podcasts if you want more opinions. On my part, while 3D models on 2D backgrounds kinda makes both of them look weird, I think the CGI is definitely something you can get used to, but as a player of videogames ‘bad graphics’ is an issue I got over a long time ago (seriously, FFVII was polygon people on 2D backgrounds). Ultimately, it’s very subjective and its effect on viewing experience is going to vary between audience members. 3D cgi if done well can be unnoticeable in screenshots. Either this is too obvious, or I already know what I’m looking for and hence able to spot it. The CG isn’t bad visually per se, rather it’s the rigging (the character movement) that bothers me. It’s so stiff and jumpy it can be distracting in some scenes. Overall, I got a few chuckles out of it. The least I can do it give it another week or two to get moving but I was kind of underwhelmed. I’m in the camp of “Oh, dear god, what did they do??”. This looks awful, and simply unwatchable. Virtually every CGI company i have seen in the last 10 years has done better than this abomination. And hand drawn backgrounds, wow, messed up. And six of you for shame; GermanGuy did nothing but point out in a very professional manner the mistakes in the animation and he was 100% correct, he did not present an opinion. Yet six of you still felt you had to down vote him. I was very skeptical when they announced it was a 3DCGI production with Polygon pictures. First of all Hayao Miyazaki was against using 3DCGI for his works so this is new territory, and second i did not think Polygon Pictures does a good job making animations for anime, their last project Knights of Sidonia did mediocre animating characters (whereas their mecha designs are far better in comparison). Im questioning why didn’t the production planning hire Sanzigen (Black Rock Shooter,Arpeggio of Blue Steel) instead? Was their budget too tight to consider hiring them? But honestly, i think 3DCGI anime productions should be reserved to only projects with massive budgets like Appleseed (the movies mind you, the tv series sucked) and Vexille. Actually, they did use CGI for Princess Mononoke, Spirited Away, and Howl’s Moving Castle. 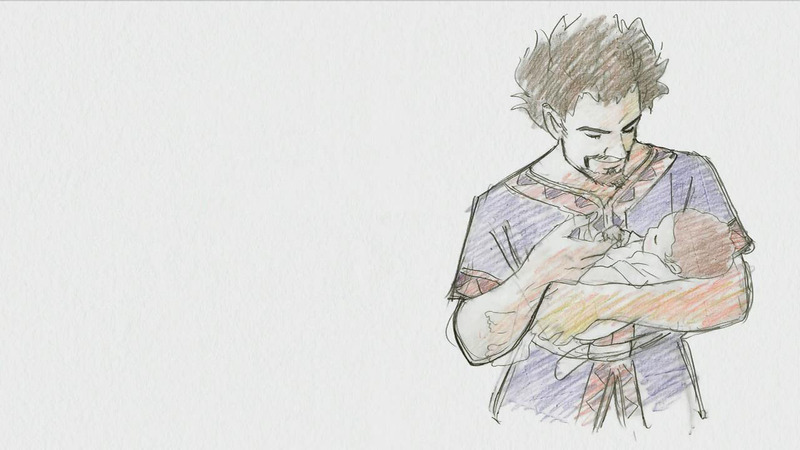 But then they did away with their CGI department as Miyazaki didn’t think it was necessary. why does it have to be in CG!? WHYYYYY!?!?!? 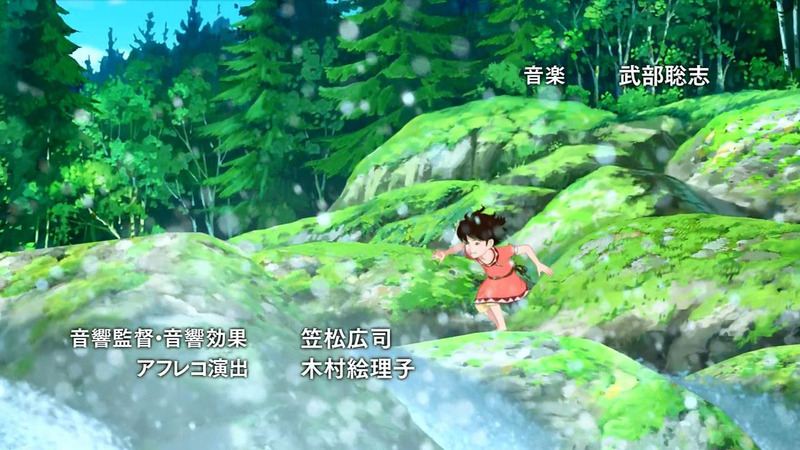 I have a fairly short history with CGI used exclusively in anime. I hated it in Kingdom, tolerated it in Blue Steel, tolerated it more in the Berserk movies, (even though a couple of the movies were badly done animation-wise) so by the time got to Knights of Sidonia, I rather liked it. I guess its like getting used to beer. *shrug. At first I thought the story was kind of meandering, but I appreciated the story book feel of it. I grew to love it even more when Ronja was born. As a brand new father with a 1 month old daughter, I felt like Mattis and I were on the same page. I felt like I could identify a lot with him, so I didn’t mind him taking time out of his busy day of pillaging to dote on his baby girl, because I felt like that would be me in that position. If nothing else, I would watch to see what those troll harpies will do next. And also because that bandit guy that keeps pulling dead animals out of his pouch like a beastmaster who just does it wrong reminds me of Shaggy from Scooby-Doo. I was against the full CGI at the first place but after watching the two episodes I found that I am able to enjoy a Studio Ghibli production regardless of the medium. Main problem here is that unlike Knights of Sidonia (or Sanzigen’s Arpeggio of Blue Steel), the setting here is way too bright, and the 3DCGI doesn’t work as well as Sidonia. While the backgrounds are almost Makoto Shinkai-level of gorgeous, the blend with the characters is not that well made, some movements are blocky, and the hair in general seems like plastiline. Yeah, it has the graphics of a 1st gen PS3/XBOX360 game, which isn’t particulary bad, but not good enough after Sidonia. Story-wise, it’s way too soon to critizise, and it’s a child-orientated show (or so it seems). Well in Sidona there was only the Artificial Sun inside the Spaceship and the Sun in Space. There was no Atmosphere, with Sunrise, Morning oder Dawn Sunlight. But here, there is Nature in the background, have a Eye for the Sun!! or in other Words, keep an eye on your Gamma!! The CGI is on the right path, yes.